Since the early days, the Daylesford Foundation has been a keen supporter of the Soil Association. This relationship blossomed in 2009, where there was a common feeling that Organic Farms needed help to engage an increasingly growing audience that wanted to learn more about rural crafts and skills. As the sustainable food movement grew, many more people from all walks of life wanted to know how to grow their own, keep their own hens or bees, lay their own hedge, or pick their own foraged foods. 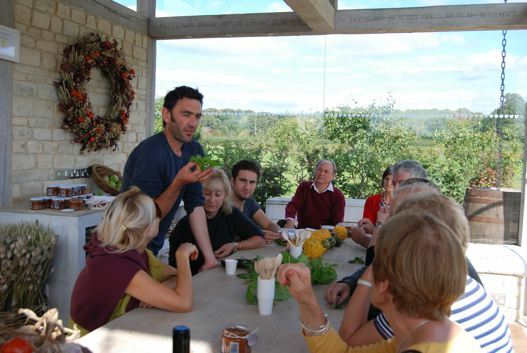 An active network of organic farmers soon signed up to deliver courses, and before two years were up the project had surpassed expectations and helped thousands of course attendees to a more organic life. At the end of the pilot two years, we reported on the progress via the Daylesford blog; another two years on and the project continues with great success both at the Daylesford Farm and on many other participating farms, all helped along by the Soil Association.